Crucial to the redevelopment of the heritage grain silo building into the Zeitz Museum of Contemporary Art Africa (MOCAA), was selecting appropriate interior construction materials during the design phase. From the outset, Mark Noble, development manager at the V&A Waterfront, looked for materials that would not only support the museum’s construction requirements, but that would also meet budget parameters and were environmentally friendly. 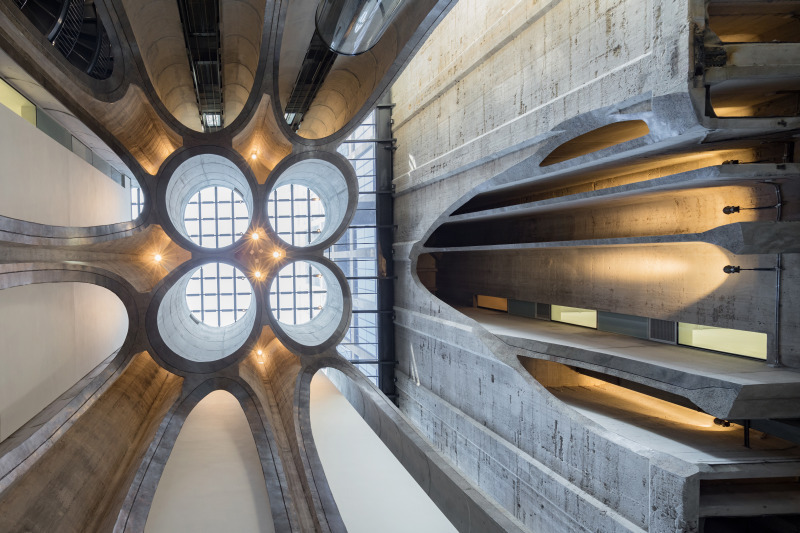 Saint-Gobain Gyproc was contracted to specify 17 000m² of Gyproc plasterboard solutions for the walls and ceilings inside Zeitz MOCAA, and Scheltema Ceilings and Partitions Cape was brought in to install. “This development was a significant project and presented certain challenges that had to be considered,” says Janet Thompson, Saint-Gobain Gyproc’s regional technical and specifications manager for the Cape. The first step in Thompson’s approach was to enhance safety by installing Gyproc Firestop RhinoBoard throughout. “This allows people up to 120 minutes to evacuate in the event of a fire,” she explains. Gyproc moisture-resistant plasterboard was also used to help control moisture levels in the museum, which not only safeguards the art collections from potential water damage, but has practical benefits in rooms such as kitchens, bathrooms, waste rooms and the basement, where the moisture levels are higher than usual. Next she considered the weight-to-strength ratio that the walls required. “When it comes to material selection, weight is a limiting factor in heritage site projects and it’s particularly important to keep structural load to a minimum,” explains Thompson, who used a drywall that is ten times lighter than traditional walls, assembled with noggins, load-bearing studs and tracks to reinforce additional strength. The result is interior walls which reach up to 23m in height, which are strong enough to hold artworks of unknown weights in varying places, yet are light enough to comply with heritage building regulations, and to be reconfigured while withstanding knocks and bumps. Lastly acoustic and thermal properties were prioritised to ensure a quiet and comfortable environment. A Gyproc Rigitone Acoustic Ceiling was selected to create a buffer against excessive noise and help minimise sound transmission between rooms. For aesthetic appeal, Gyproc RhinoLite Cretestone skim plaster was used to finish the drywalls and ceilings throughout, creating a smooth luxurious finish. “The result is an interior space that’s safe and comfortable to be in, while remaining structurally sound and aesthetically beautiful,” says Thompson.